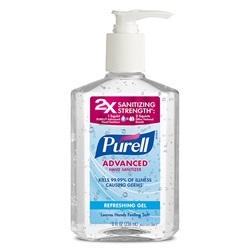 Purell gel hand sanitizer in an 8 oz. pump bottle. Contains 70% alcohol. 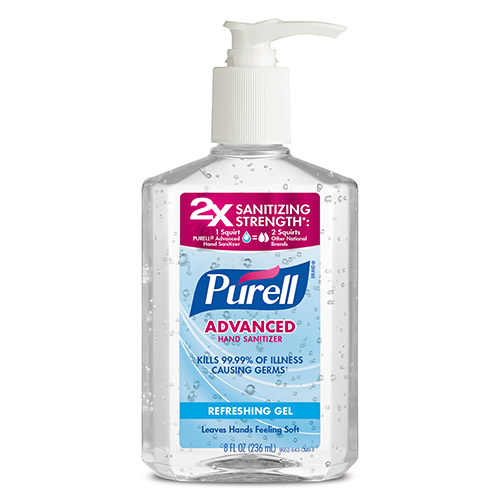 Kills 99.99% of germs and has an alcohol scent. Manufactured by Gojo. Comes as singles.